If you are looking for quality Glass Spray Bottles for Essential Oils at an affordable price, look no further. Olilia brand bottles are perfect for all your DIY essential oil blends and more. I have used these bottles and found them to perform exactly as advertised. Easy to use while mixing and blending oils. These bottles work great and are classy looking, perfect for displaying or gifting. These 2 oz glass refillable spray bottles are perfect for essential oils, perfume oils and other liquids. Conveniently fits in your purse or pocket, excellent for travel. Coloured glass bottles help protect contents from harmful UV light. A few reviews noted occasionally a bottle leaked or the sprayer did not work. This was not my experience. All bottles and sprayers worked exactly as described. I was thrilled with my Glass Spray Bottles for essential oils. I ordered and used them to make Christmas gifts for family and friends. The package arrived in a timely manner and was packed safely with styrofoam to avoid damage during shipping. Every nozzle sprayed with a nice fine mist and there was no leakage. Each bottle was tested by placing them upside down for 30 minutes and no leakage was found. I was completely satisfied with my purchase. The pipette that is included is perfect to transfer oils between bottles with small openings! Awesome feature! I will order these again when I am in need of more bottles. I feel that choosing glass to store and use my essential oil blends is safer than the plastic option. Some plastics leach under certain circumstances. I also really like the cobalt blue glass as it helps protect my liquids from light damage and deterioration. It looks classy too! I used these bottles to make a Lavender sleep pillow spray and some bathroom sprays. To make your own Sleepy Time Pillow and Linen Spray, fill a 2 oz spray bottle halfway with rubbing alcohol (some people use witch hazel or vodka), add 7 drops of Lavender, 4 drops of Cedar and fill remainder of bottle with water. For an awesome sleep, spray your pillows and sheets before getting into bed. To make your own DIY Easy Air Freshener, simply add 20 drops of oil into a 2 oz spray bottle and fill the rest with water. Spray as needed. I have ordered many Olilia products and they have all met and exceeded my expectations. I am very happy with these bottles and I will be ordering more. Another good quality product from the Olilia Company. I am happy with these bottles. I love these bottles, no issues with leaking and all bottles sprayed perfectly. The bottles arrived in two days. They were packed properly with a styrofoam insert to protect the bottles during shipment. Very nice! I will definitely order again as the quality was greater than I expected. I used the spray bottles for my essential oils. Every bottle worked great and each nozzle sprayed with a fine mist. I mixed my oils with distilled water, vodka, witch hazel and water and each one worked very well. Product exactly as shown. 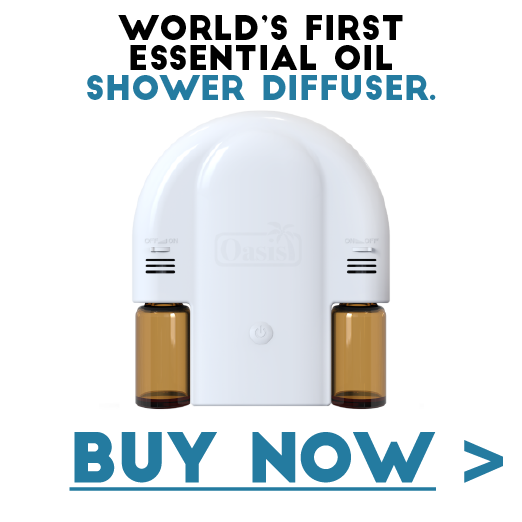 I hope this review of the Glass Spray Bottles for Essential Oils by Olilia has been helpful. I highly recommend this product. If you have any questions please use the boxes provided below.